Collector Car Title Loans, car title loans or any other vehicle loans are a type of secured loan in which you can use the clear or almost paid off title of your vehicle as collateral. We have all heard about Collector Car Title Loans from ads that we have seen on TV, the internet or heard on the radio. Many do not understand how Collector Car Title Loans actually work causing them to miss out on a valuable cash resource when it is most needed. Everybody has found themselves in a situation where cash is needed quickly. It may be needed for important and necessary home repairs like replacing an air conditioning unit, unexpected medical or dental bills, vehicle repairs or whatever the need for cash may be.B And B Pawn And Gold we want you to know that when you find yourself in a situation where you need cash fast, you do have options available and that our Collector Car Title Loans program can help you quickly obtain the cash you need now for whatever the reason. When Collector Car Title Loans are made, you surrender your vehicle’s title to the lender and allow them to place a lien on it in exchange for the amount you are borrowing. So unlike other types of car loans, Collector Car Title Loans allow you to utilize the title of a vehicle that you already own to secure the cash you need while continuing to drive your car regardless of your credit history. Whether you have good credit, bad credit slow credit or no credit the cash you need may be in the vehicle that you are driving. So If you own a and have a clear title or an existing title loan from another lender then one of our title loans can get you the cash you need in minutes with no hassles and regardless of your credit history.Come in to Vintage Car Title Lender and let our staff appraise your vehicle, fill out a bit of paperwork and within minutes you will be driving away with the cash you need. At our Auto Title Lender. you can get up to 36 months to repay your auto title loan with no penalties or fees applied if you pay your car loan off early. Also, with an auto title loan you can continue driving your car until your loan has been repaid as long as you continue to make the required minimum payments. We offer competitive and fair title loans through Phoenix Titles Loans, LLC. B And B Pawn And Gold can loan on cars, motorcycles, RVs, ATVs, airplanes, boats, golf carts, tractors, and more. Get the cash you need and still drive your car! We give you the cash, and every month you pay us the interest. Or, ideally, you would pay us the interest plus some principle in order to bring down the loan balance. The loan can be repaid anytime without any pre-payment penalty. The interest rate depends on the size of the loan. This is governed by Arizona State Statute. Bring in your car, the title, and an ID and you’re set for CASH! We can often do Collector Car Title Loans that other lenders won’t do. For example, we have made loans on boats, airplanes, motor homes, and Lamborghini. Also, you have the option of requesting that your automobile get stored in return for a lower interest rate. 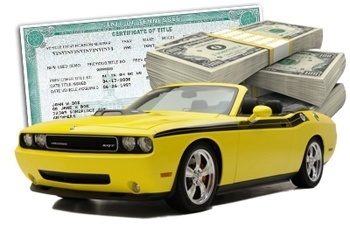 If you still have any questions, feel free to visit Phoenix Title Loans, LLC’s page on Custom Car Title Loans! Call or stop by to see why our private, professional, secure title loan solutions might be right for you and dont forget we also serve Chandler, and Tempe.